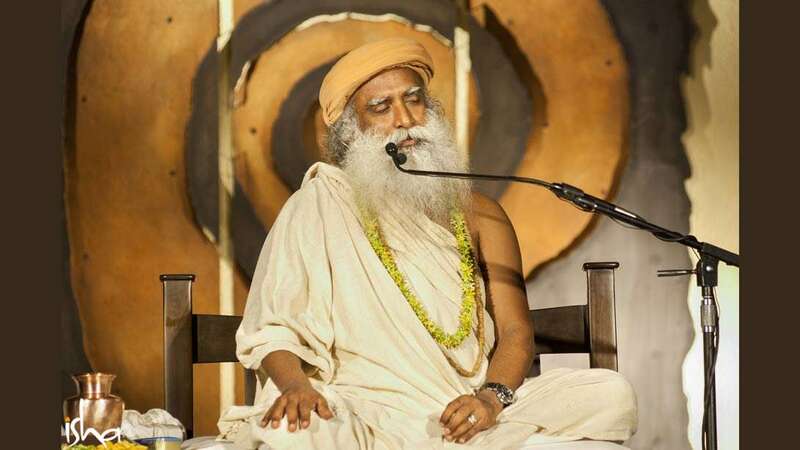 Sadhguru on words, sounds, society and dissolving into the soundless silence. 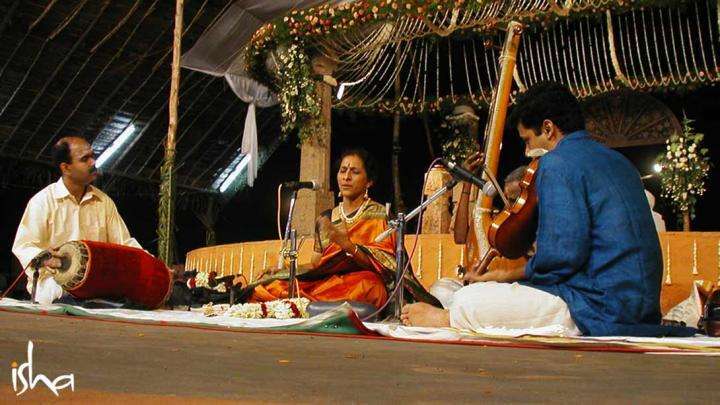 A word is a lie, Sadhguru explains, while a sound is a certain reality. He recounts a story from the life of Matsyendranath and Gorakhnath to illustrate the process of dissolving into the soundless silence. 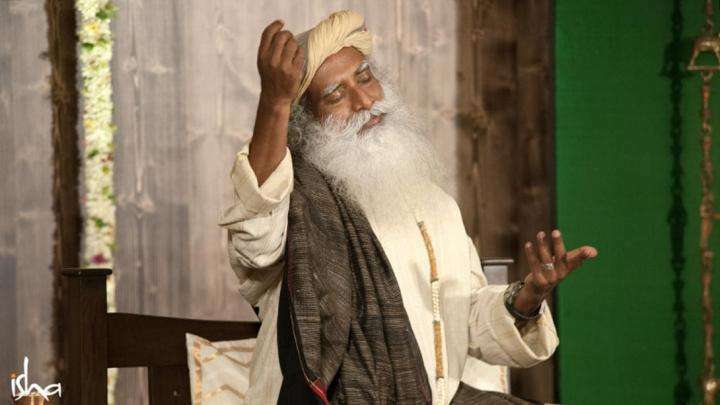 Sadhguru: Speech is of the society, words are of the mind, sounds are of nature, the soundless is of the beyond. Thus, if one gets identified with one’s own speech, he will belong to the society. If he gets identified with his words, he will belong to the mind. If he gets identified with the sounds, he will belong to nature. If one dissolves in the soundless silence, to him alone the realms of the beyond will yield. What we call “society” is essentially a conversation. It is only because of constant conversation – some kind of communication, expression of thoughts, emotions and ideas – that there is something you can refer to as society. If there isn’t any kind of conversation or communication, or essentially, if there is no speech, there would be no society. For most people, it is so difficult to be silent because silence is a way of shifting from being a social being into an individual being. The term “social being” is just a polite expression for calling you a crowd. It is only the individual who can perceive, transcend and be enlightened, because society is not a reality, it is just a conversation, a cacophony of speech. If everyone stops talking, there will be no society. Not being a social being does not mean you are antisocial. Being a social being simply means you are not a being, you are a certain kind of noise. If you belong to a youth society, you will make one kind of noise. If you belong to a corporate society you make another kind of noise. If you belong to a religious society you make another kind of noise. If you do not make the appropriate noises, you will not belong to that society. If we just take away speech from the world, human beings will no longer be social beings, because the need for speech came only when people got together, and people got together most of the time only because they have a need to speak. You know, there are gossip societies everywhere. That is the only universal society! Wherever you go, whether it is a corporate crowd or a socialite crowd or a religious crowd or even a spiritual crowd, gossip society always exists. Gossip is a compulsive need to speak – it does not matter whether you know something or not, you have to speak. Conversation, speech and social systems formed only because the human mind could invent a word. A word is not a reality. Neither is the mind. Sound is a reality. There are all kinds of sounds in nature. But a word is not a reality. In India, because we have over 1300 languages and dialects in close proximity, it happens quite often that one word in one language means some sacred object, but in another language it means a filthy thing. A word is a made-up thing. A sound is not a made-up thing. Sound is a certain reality. Sound can be a vehicle to penetrate the nature of nature itself, but words do not get you anywhere because they are just made up in your mind. If you ride the words, you will be full of bull. If you ride the sounds, you could explore different aspects of nature. Sound is a reality in which you are constantly enveloped. What you call “form” is just another level of sound. Sound is a reverberation which is an existential reality. Because of the constant usage of words and more complex formations of words, which we call sentences, language, conversation and literature, the mind has become full of words – so full that the very existential reality is obscured. People who live in active societies cannot relate to forms anymore, they can only relate to words. Children can relate to forms in the beginning, but these days they pick up words so fast. Probably by the age of four or five they have also lost the forms and are full of words. When you are so full of your own invention, you are bound to be confused and lack clarity of life because a word is essentially a lie. Patanjali’s definition of yoga is “Chitta vritti nirodha.” This means, “When all the modifications of your mind are gone, that is yoga.” When the fluctuations of your mind are gone, that is yoga. The fluctuations of your mind are essentially caused by the words that you generate. Generating words means you make up meanings for meaningless sounds. If you ride the words, you will be full of bull. If you ride the sounds, you could explore different aspects of nature. Being filled with forms is not everything, but it is one step closer than being lost in words. If you learn ten different languages and use all ten with the same ease, you will see, you will have no words in your mind, you will have only forms because now if I have to say tree, I have ten words for the tree. Sanskrit language did this – for every form they created at least a dozen different words so that in your mind the word will not stick, only the form will stick. When you have to speak, you have to create a form and then come out with an appropriate word depending upon the situation. These were devices that were created so that step-by-step, as you live, the very process of life will slowly take you towards that soundlessness, towards the source of creation and liberation. Everything was engineered that way. The existence that one is able to see, hear, smell, taste, and touch through the five senses is essentially a product of reverberations, a play of sound or nada. The body and mind of a human being are also reverberations. But body and mind are not an end in themselves – they are just the outer peel of a possibility. Most people do not go beyond the peel; they sit on the threshold of the doorway their whole lives. But the purpose of a doorway is to enter. To experience that which is beyond this doorway, the practice of silence is referred to as maun. The English word “silence” doesn’t really say much. In the Sanskrit language there are many words for silence. “Maun” and “nishabdh” are two significant ones. “Maun” means silence as we generally know it – you don’t speak; it is an attempt to create nishabdh. “Nishabdh” means soundlessness or beyond sound. That which is beyond sound is that which is beyond the play of forms and the five elements. That which is beyond sound is the final passage to that which is the very source of creation. Nishabdh, nirvan, nirvikalp, all of these mean the same in one sense. Nishabdh means soundlessness, nirvan means formlessness, nirvikalp means that which is beyond kalpa or creation, that which is neither sound nor form. There is a story about Matsyendranath and Gorakhnath. Matsyendranath, a great yogi, is generally referred to as an incarnation of Shiva. We do not mean Shiva was born again. We say he is an incarnation because in terms of his knowing and capability, he is not very different from Shiva. After all, we are interested in Shiva for the qualities he possesses, not for the man. Matsyendranath was very close to that, so people said he is Shiva himself. Gorakhnath was his very close disciple, who later became a legend by himself – one of the most well-known yogis in the country. Gorakhnath did a phenomenal amount of work across the subcontinent. There is almost no one in India who has not heard of him. Gorakhnath is the kind, if you tell him to do a mantra ten times, he will do it 10,000 times. He is always on the go. Matsyendranath was walking with Gorakhnath, and they had just crossed a small stream. Matsyendranath sat down under a tree and said, “Get me some water.” Gorakhnath ran for the water. If the guru asks for water, he wants it done in a moment; so he ran. He found that the little stream had been crossed by a few carts just then and the water was muddy. So he came running back to his guru and said, “The water is muddy in that place. Just ten minutes away there is a river, I will go there and get the water.” Matsyendranath said, “No, get water from the same stream, from the same spot.” “But it is muddy.” “I want water from the same stream, from the same spot and I am thirsty.” So Gorakhnath again ran to the stream and it was still very muddy. He did not know what to do, and he again ran back to his guru. Matsyendranath again said, “No, I want water from that stream.” Not knowing what to do, he went back again. Then, he found that the water was a little clearer. So he waited. In 5-10 minutes it became as pure as can be. He brought the water – bursting with ecstasy, jumping with joy – and gave it to his guru. Matsyendranath kept the water aside and did not drink. He was not thirsty. Sound is essentially in your mind. Whatever sound may be happening, if you are asleep, it does not matter. Only if you are a bad sleeper it is a problem, otherwise what does sound mean to you when you are dead asleep? The entire murky mind is simply because of the sounds that you generate, which take the shape of words, and you attach meanings to meaningless sounds. Just wait. It will once again become crystal clear. If all the sounds die down, if you stop attaching meanings to the words, if everything falls down, then it will be crystal clear, soundless. Editor’s Note: “Mystic’s Musings” includes more of Sadhguru’s insights on sound and silence. Read the free sample [pdf] or purchase the ebook. Sadhguru on the 4 types of sound and hearing the sound that is the basis of creation and Creator. 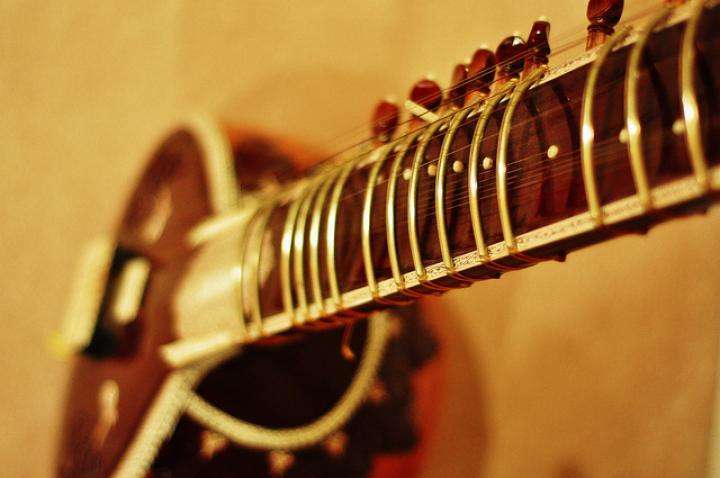 Sadhguru looks at how Indian classical music developed, and how it is derived from the very music of life. Music - Sound or Emotion?